Contemporary China has seen swift and dramatic change in recent history. As a modern nation it struggles to redefine its culture, balancing ancient history with contemporary global values. 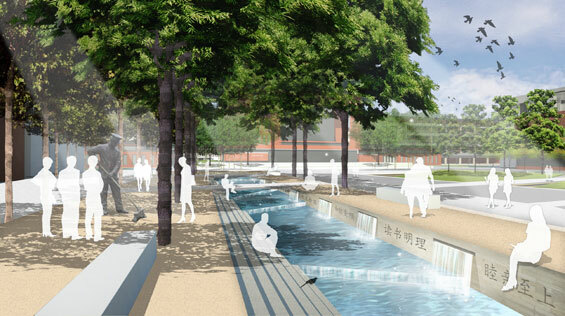 In 2011, The City of Kunshan decided to form an education and outreach hub in the west end of the city. 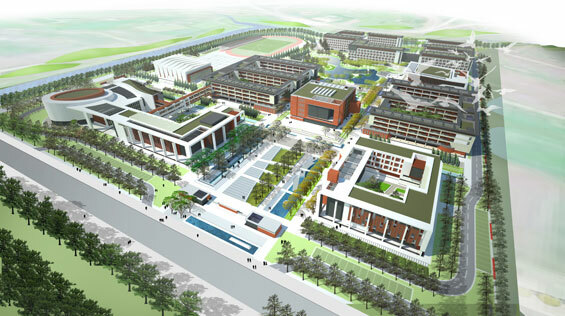 This involved relocating the historic Kunshan West High School, a premier high school in the city, in conjunction with the establishment of a satellite campus for Duke University. 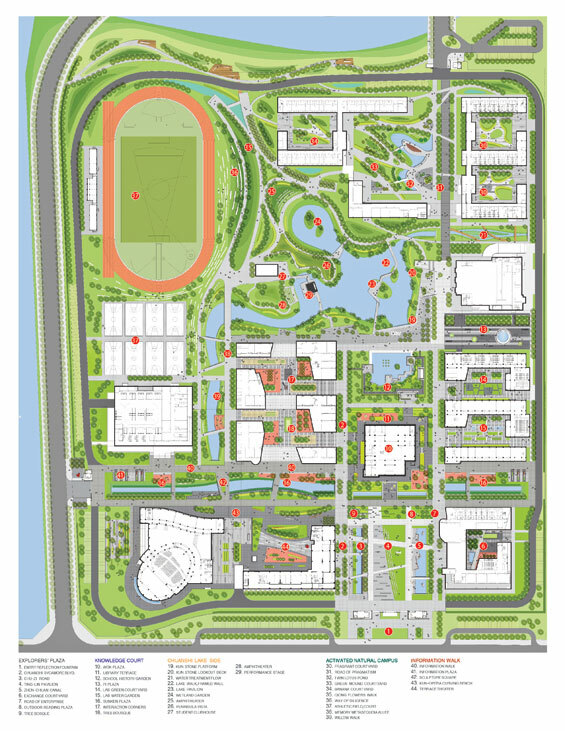 The Kunshan West High School Master Plan offers a landscape that has the ambitious task of relocating a storied institution’s memories while offering an environment that fosters education and innovation in many forms. 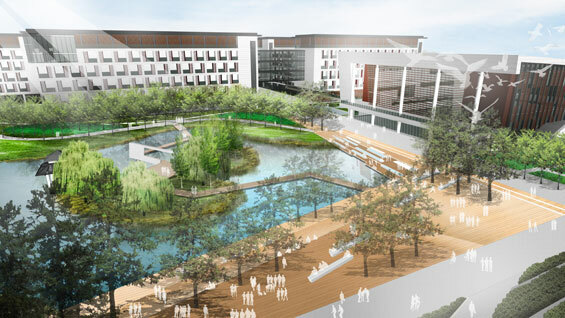 The campus offers a rich environment out of the classroom for the students who will live and work there, an extraordinary cultural tour for visitors, and a chance to continue a long tradition of sharing knowledge in the public realm. The plan meets the ambitious goal of certifying all of the school’s buildings under both LEED ratings and China’s Green Building Label 3-star system. 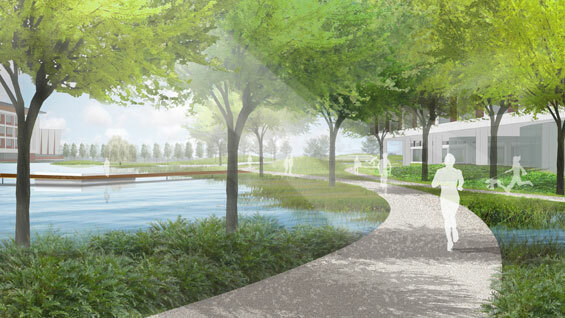 This goal made it necessary for the landscape to support the architecture’s environmental mandate. Impermeable landscape programs were concentrated to reduce the amount of impervious site circulation. 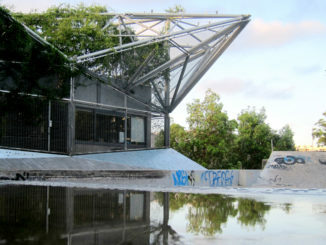 The water system on the campus is fed by the adjacent canal, building grey water, and site stormwater; micro-watersheds on site allow the stormwater from each parcel to be collected, treated, and reused on site. The Master Plan also promotes alternative modes of transportation by providing campus-wide infrastructure for electric vehicles and an extensive bike network. This environmental program is all set within a landscape of lakefront exercise trails, memorial corridors and plazas, and dormitory gardens with cultural and native plantings. 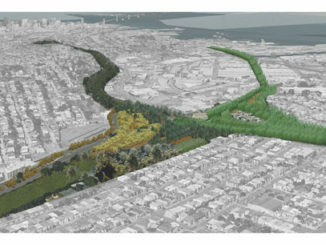 Landscape Architect | Integrated Planning and Design Inc.
WLA is a landscape architecture blog curated by Damian Holmes, a passionate landscape architect who feels that landscape architecture is a unique profession that provides solutions for problems that communities, cities, countries and the world face everyday. Projects published on this blog are the copyright of the person or firm credited.